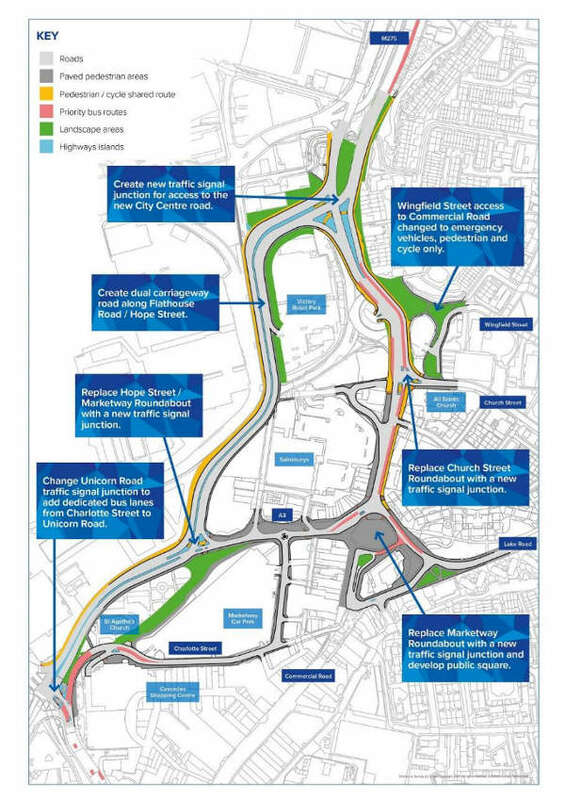 The scheme involves the realignment of the main route from the M275, which links the city to the motorway network, to allow easy access to the whole of the city centre and open up sites for future development. 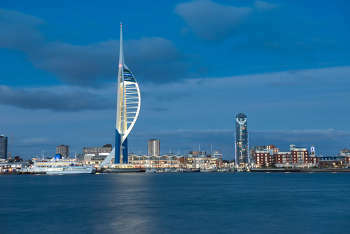 The cost of delivering of the scheme is estimated to be around £70m, including all pre-construction and construction activities that it may require the successful contractor to undertake, but excluding land acquisition and other costs. The council has set aside £22.5m in its capital programme towards the project and is ‘actively engaged in sourcing the balance of the remaining funding through a number of routes’. It will require the successful contractor to assist it in unlocking critical path finance streams as well as reviewing the scheme in detail to identify areas where cost reductions may be realised. The council has previously said that its plans will also make it easier to get to and from different parts of the city centre. It said realigning the road would enable areas currently separated by busy traffic to become one cohesive space people can enjoy. It submitted a planning application last December following a public consultation, having made a number of changes including what it said were improved and purpose built cycle routes through the city centre and a new cycle route on the eastern side of the proposed dual carriageway. At that time it stated that the road project was expected to cost around £60m and that it was expecting to pay for around a quarter of this and bidding for government funding for the remainder. The council aims to have secured a contractor by 30 October.